UPDATED: Fri., Nov. 9, 2018, 10:11 a.m.
After decades of work reintroducing the large ungulates into Idaho and Washington, Canadian wildlife officials decided to relocate the six remaining survivors who still occasionally enter the United States farther north into Canada. There, Canadian biologists hope to breed the animals in captivity at a pen north of Revelstoke, British Columbia, deep in the Canadian brush, the Canadian Broadcasting Corporation reported Friday. But wolves started to filter onto the landscape about that time, George said. Logging roads and increased snowmobiling access also played a role . But in terms of direct mortality, cougars and wolves were the primary culprits. In April, an aerial survey of the South Selkirk Mountain caribou herd found only three surviving members, all female. Over the summer one of those animals was killed by a cougar, George said. Biologists and managers have known the animals were in trouble since 2012, George said. However, little was done. “We really didn’t mobilize until it was too late,” he said. Other herds in the range have “blinked out” in recent years. Full-scale recovery efforts began only recently, with Canada starting to control its wolf population in 2014 and maternal pen projects and population augmentation efforts starting only a year ago. Canadian wildlife agencies have removed about 20 wolves since 2014. Deep snow delayed the Kalispel Tribe’s maternal pen project and the enclosure was never used. “We could potentially use that site in the future as a release site,” George said. Although mountain caribou were listed as an endangered species in the U.S. in 1983, the U.S. Fish and Wildlife Service and the states of Washington and Idaho are not actively involved in the maternal pen project or controlling the caribou predators even though the caribou range extended south into Idaho and Washington. The South Selkirk caribou herd was the only one living in both the United States and Canada. It ranged through the high country along the crest of the Selkirk Mountains near the international border. The remaining 14 or so herds are all in Canada. It’s estimated that fewer than 1,400 mountain caribou are left in North America. Known as Grey Ghosts because of how rarely they are seen, the South Selkirk caribou differ from caribou that wander the tundra farther north. These caribou use their wide feet to stand on top of deep snow and eat lichen that grows high in old-growth forests. The mountain caribou have struggled as old growth forests have been thinned by logging and other industrial activities, George said. 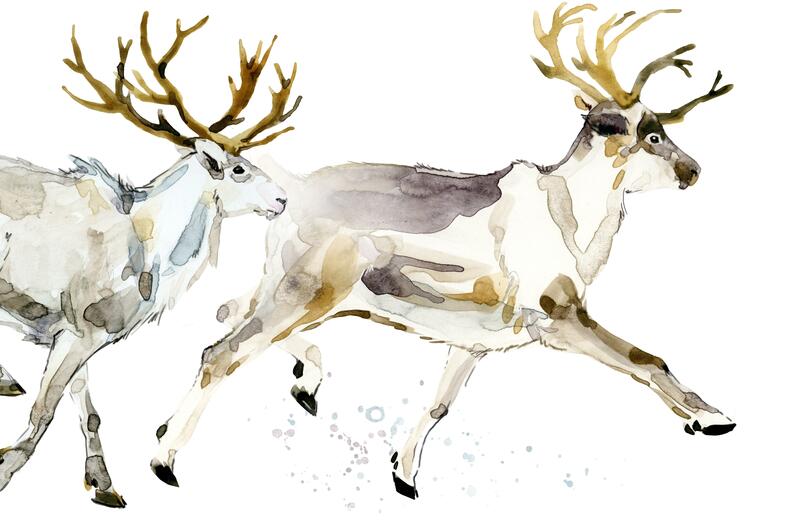 With thinner forests, the caribou have become more susceptible to predation. Thinned forests have led to other problems, including vehicle strikes on Highway 3 in British Columbia. The U.S. Fish and Wildlife Service wrote its first recovery plan for mountain caribou in the early 1980s and it was reworked in 1994. Working with Canadian agencies and First Nations, caribou from other regions were trapped and released in the area with some positive results. But those positive results didn’t last, and, despite the Kalispel Tribe’s efforts, starting in 2012 the population has only declined. “We talked about it, and we did a bunch of hand-wringing for the next six years until we ended up this position,” George said. UPDATE Nov. 9: This story has been updated to clarify that the South Selkirk herd spends time in both the U.S. and Canada. Published: Nov. 3, 2018, midnight Updated: Nov. 9, 2018, 10:11 a.m.